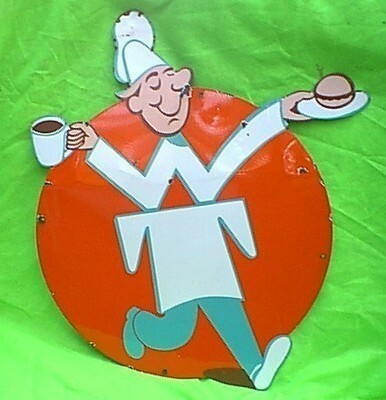 This die cut sign shows a cartoon man walking holding a burger and a cup. The sign measures 39″ by 36″. The orange, blue, and white sign is for White Tower.